ART's MUSIC ... AND AN INTRODUCTION TO ART's NEW CD by SHIRLEY JONES! 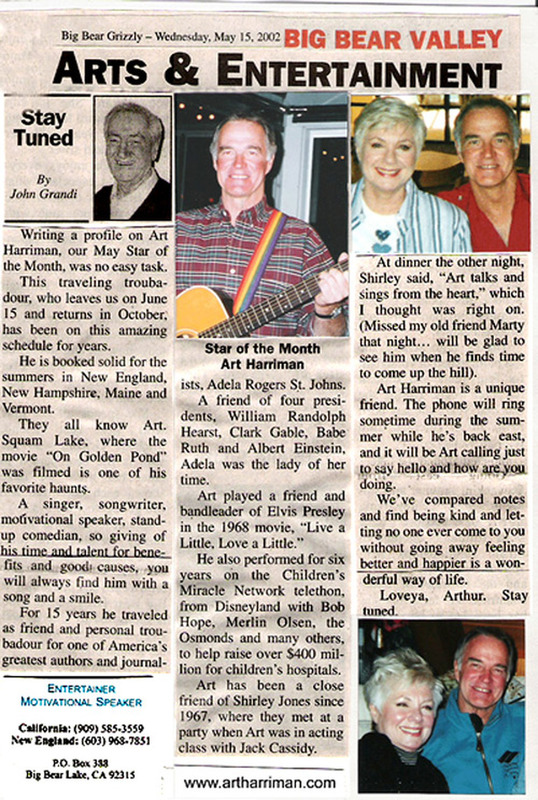 Good Ole New Hampshire Song was written by ART HARRIMAN. NEW VIDEO produced by a friend of Art's, Mr. Les Wood. 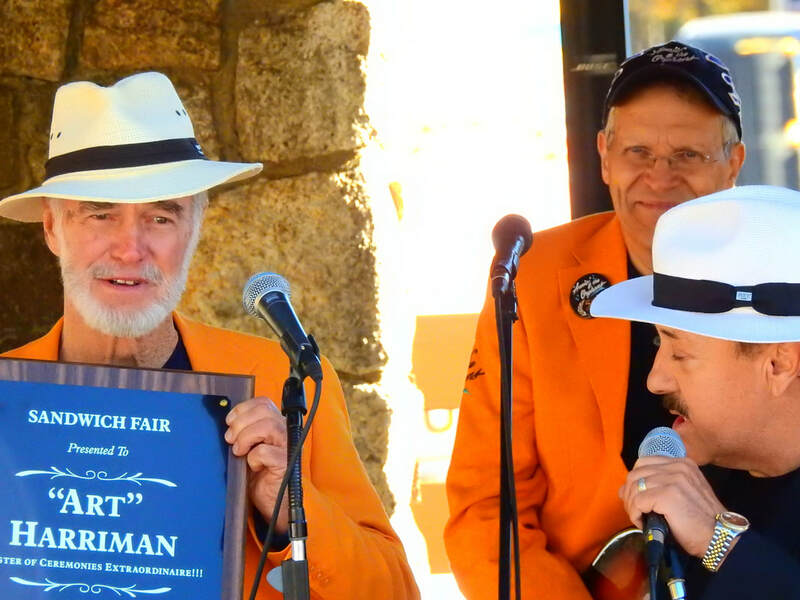 The video posted just above is Mr. Art Harriman doing one his most favorite combos of two songs: BOOT SCOOTIN' BOGGIE and JUMP JIVE AND WALE. This video was taken by Mr. Les Wood on 8-17-2018 at the Ashland, NH COMMON MAN RESTAURANT! Nice job Les! Art is right at home on stage! ...Having done radio and television commercials, hosted his own TV show, standup comedian, singer, song writer, auctioneer, master of ceremonies and actor are more of the reasons Art loves what he does. 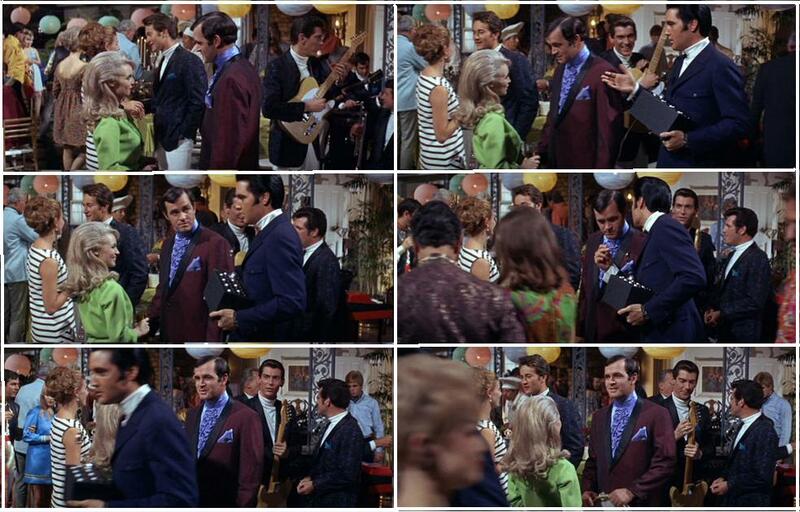 …In this scene from the 1968 film “Live A Little, Love A Little”, Elvis Presley is telling Art Harriman to play “A Little Less Conversation, A Little More Action.” The song was written for the movie thirty-five years ago by Mac Davis. -The same song re-mixed in 2002, was used as the soundtrack for the Nike 2002 Secret Tournament Advertising Campaign, and became the #1 song in the UK and twenty-seven other countries as well as being on the Top Ten Pop and Country Chart in the USA in 2002 and 2003. Elvis Lives On . 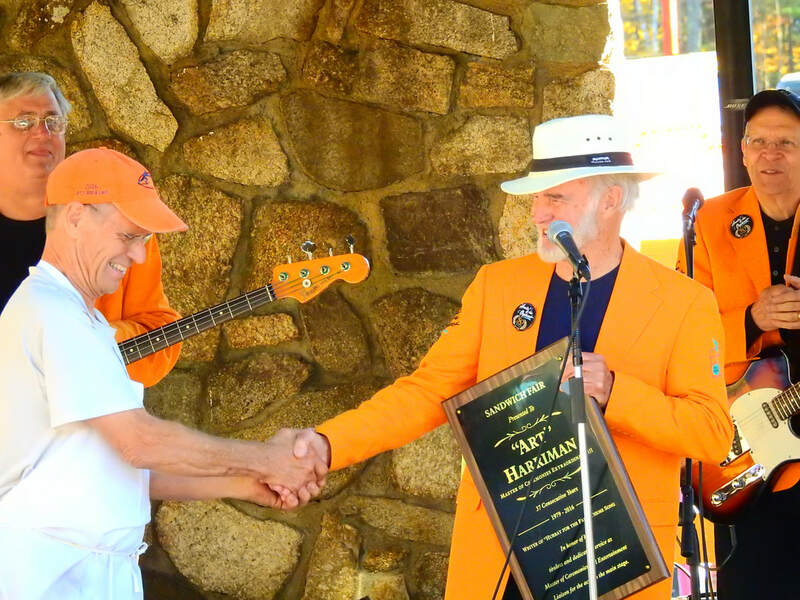 . .
CLICK FOR ART'S LATEST NEWS!